During Christmas 2017, every child in our care received the present they hoped for - a brand new pair of shoes! All thanks to everyone who responded to our Shoe Appeal. Thanks the generosity of our amazing supporters, children whose feet were once at risk to harm are now warm, comfortable and protected. Across the world, our children are so grateful for the gifts and love they have received. We have read so many thank you messages from our kids in which they express their thanks in unique and wonderful ways, just like Temesgen, age 9 from Ethiopia. Together, we have been able to protect the precious feet of our children from the monsoons of Burma, the scorching heat of Colombia, the rocky hills of Nepal and the icy cold and snow of Romania. 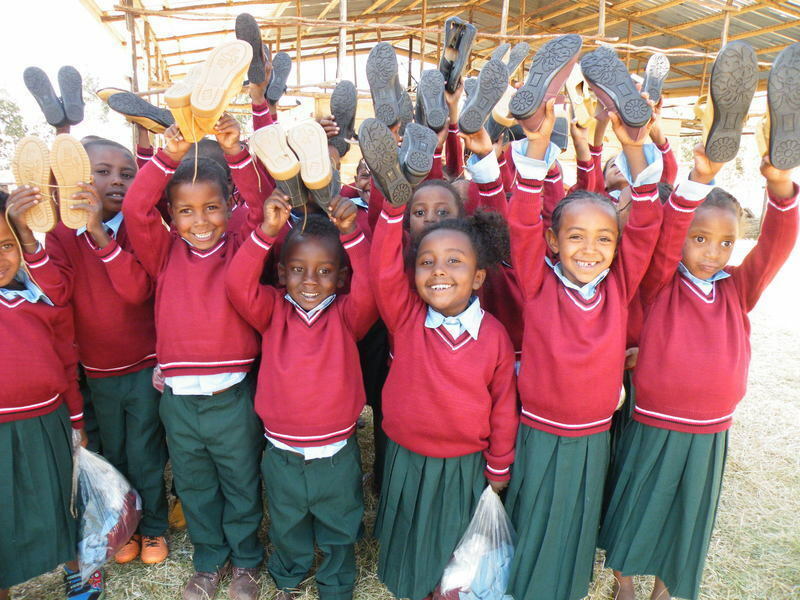 All around the world shoes help to restore our children’s dignity, improve their health and show them God's love. It's going to be a wonderful year for our kids as they bound off to school each day wearing their new shoes with faces expressing their joy and happiness!